Yes, we are for social justice for all. 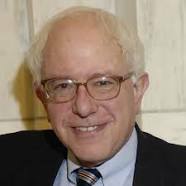 We believe that Bernie has a better chance if he runs as an independent. He cannot say that Hillary is sold out to corporations on the one hand and then go ahead and support her if she ends up winning the nomination. Before the Big Bang to Now: Launch Jan 1, 2020. Scientific Evidence of How Your Life is Predestined Release Jan 1, 2020.